Mix concentrate with water in a large pitcher. Just before serving stir in soda. 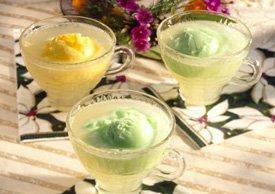 Put in cups and add a scoop of sherbet.